This Huaraz travel guide is a great starting point for any traveler planning a trip to this small Peruvian town. I lived here for five weeks and spent my time hiking, eating, drinking, and exploring both the city itself and the (much more impressive) nature that surrounds it. 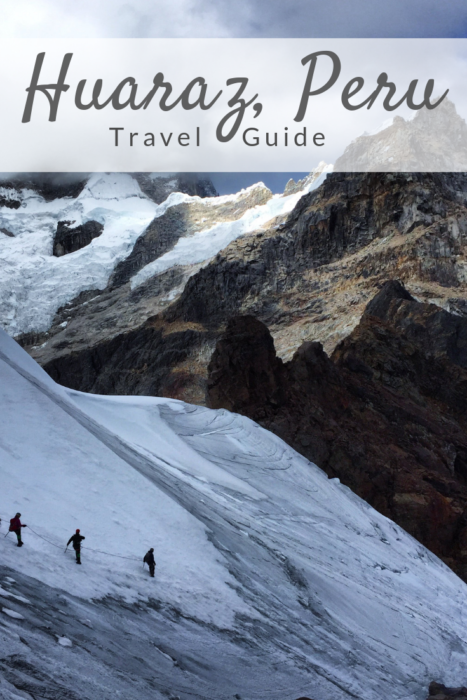 Whether you’re planning a short trip or a long-term stay, this guide to Huaraz, Peru has everything you need to know before you go! There are no major airports near Huaraz, so the most popular way to get there is by bus from Lima. The trip takes about eight hours. Cruz del Sur is the best bus company, but also the most expensive. The front seats on the second floor have panoramic views and are super cushioned and comfortable. They even serve lunch! Their website is also easy to use and buy tickets online in advance – click here to see timetables and book your seat. One way tickets from Lima to Huaraz start at 100 soles / 31 usd each and the buses leave daily in the mornings and evenings from the Javier Prado station in Lima. If Cruz del Sur is too expensive (it’s really worth it if you can swing it) you can also get cheaper seats on other buses. Movil Bus runs the route starting at only 29 soles / 9 usd each way. They also run much more often than Cruz del Sur, so if you need an afternoon departure time this may be the one for you. Most travelers come to Huaraz for the hiking. It’s the best base to explore nearby Huascaran National Park, and I’ll cover some of the top hikes in the next section. First, let’s talk about tourist attractions in the city itself. The hiking in Huaraz is spectacular. While there are plenty of amazing sites in Huascaran National Park, these are the most popular hiking routes in Huaraz! Laguna 69 is a one-day hike that you can do with a tour group. 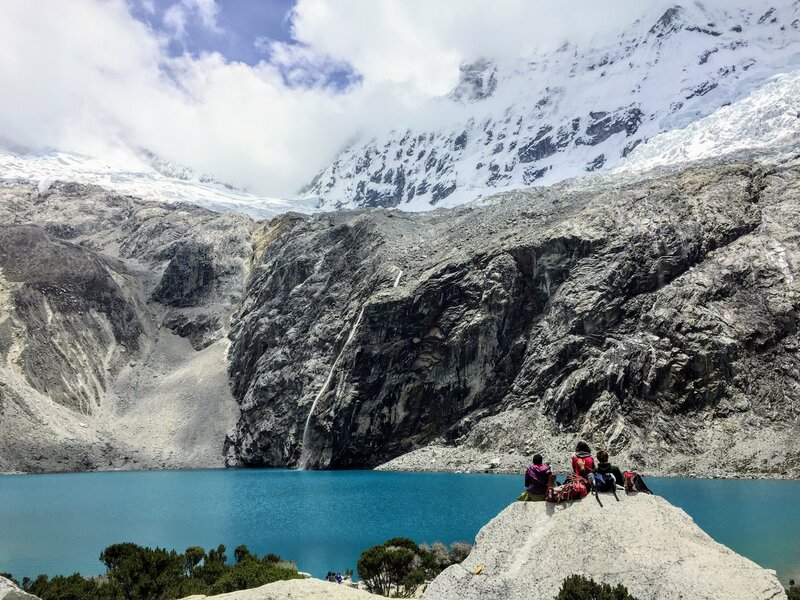 It’s probably the most popular hike in Huaraz – photos of the lake are what lured me to the town at least. The trek is about five miles and will cost around 15 usd for transportation and entrance into the park. Just remember the lake is at high elevation at 14,700 feet, so it may be a bit tougher than you expect. Click here to learn more about hiking Laguna 69! The Santa Cruz Trek is a four-day / three-night hike through Huascaran National Park that peaks at 15,580 feet in the Santa Cruz pass. If you’re looking for more serious hiking in Huaraz, this is your best options because you can do it with a tour group or on your own. 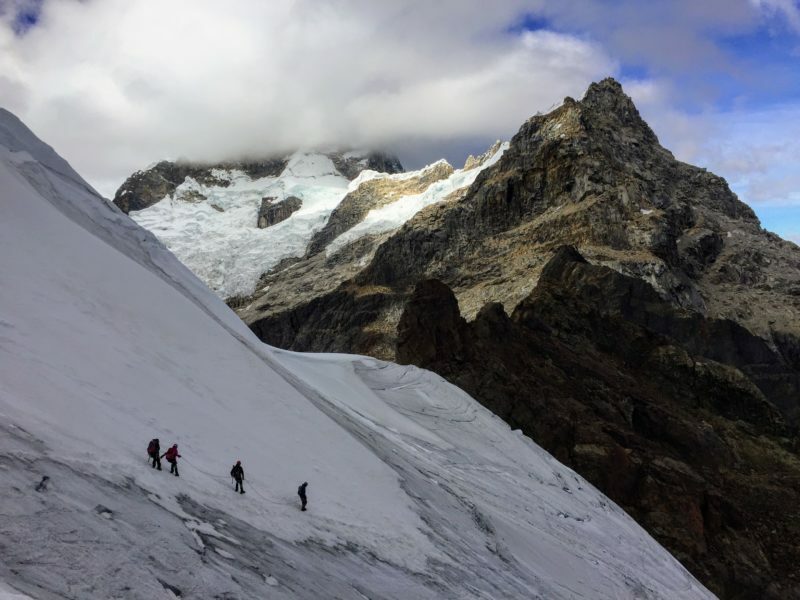 We did it on our own and rented all the gear we needed in Huaraz – click here to read how you can too. Wilcacocha Lake is a super close and easy hike that’s great for acclimatization before tackling tougher routes like Laguna 69 or the Santa Cruz Trek. 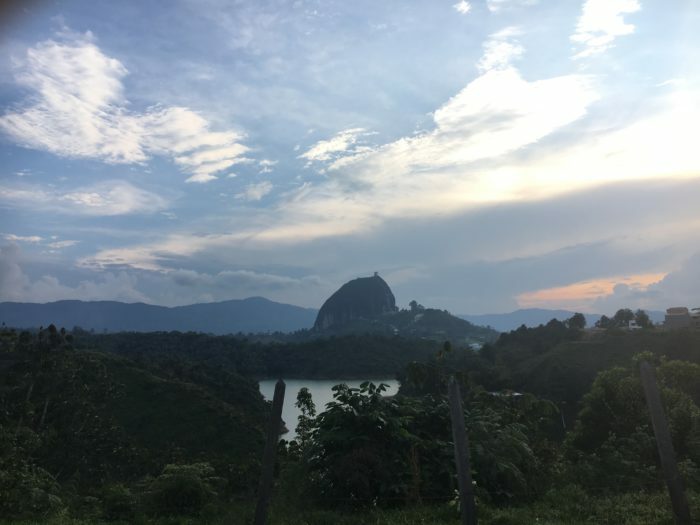 It’ only takes about four or five hours from start to finish and has a spectacular view of the Cordillera Blanca mountain range. Take this day trip from Huaraz for less than a dollar per person with this guide! Nevado Mateo is a bit different than the rest of the hikes in Huaraz because you’ll actually summit a mountain. I did this on my birthday and had a ton of fun. It involves ice-climbing and special gear like crampons and harnesses, so you absolutely need a guide for this half-day trip. It’s a bit pricey at 90 usd per person but if you have the means I recommend it. It’s one of my favorite memories from my entire four-month stay in Peru – click here for all the details. Pastoruri Glacier is another popular hiking trip near Huaraz. Like Laguna 69, the easiest way to get here is with a guided tour. 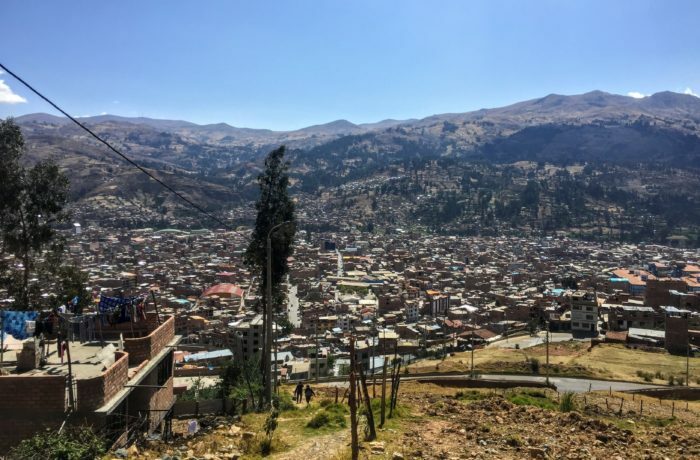 You’ll see plenty of companies selling them in the Huaraz city center – this article covers what you can expect when you buy one. Laguna Churup is a great option for hikers who don’t want to do organized tours because you can complete this five-mile trek on your own. 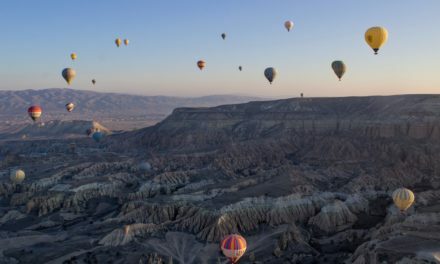 This is a great article on how to visit it with public transport and do the hike without a guide. The Huayhuash Trek is at the top of my list if I ever return to Huaraz. It’s supposed to be an absolutely beautiful trek, but you also need up to 12 days to complete it! 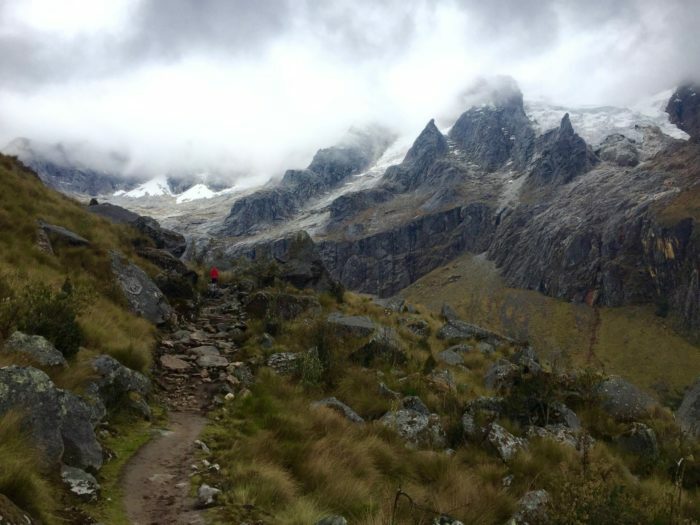 If you have tons of time to kill in Peru, the Huayhuash Trek is a great place to do it. 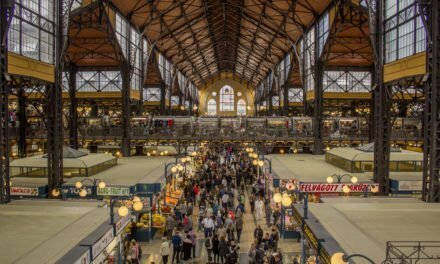 This city isn’t exactly the height of luxury, but it’s definitely a great place for budget travelers. Because I stayed for five weeks Dan and I rented an Airbnb in the city center. For five weeks it was kind of tough to find one, but for a short-term stay there should be plenty of options. Besides that, there are plenty of cute hotels and hostels in Huaraz. Browse accommodation on Booking.com and you’ll see that double rooms typically run from 15 to 45 usd in the city. You can get dorm beds at Walkers House Backpackers for as low as 7 usd per person and Sleep and Summit (with an 8.5 review score) is only 9 usd per person. Cuesta Serena Boutique Hotel is the most expensive in the city at $325 per night, and it looks like an amazing place to relax after a long trek! Foodies beware because Huaraz Peru is kind of like a food dead zone. There’s not even a proper supermarket here! Click here to read more about them, including price points, locations, and more. If you’re looking for nightlife, go elsewhere because it’s pretty much non-existent in Huaraz. 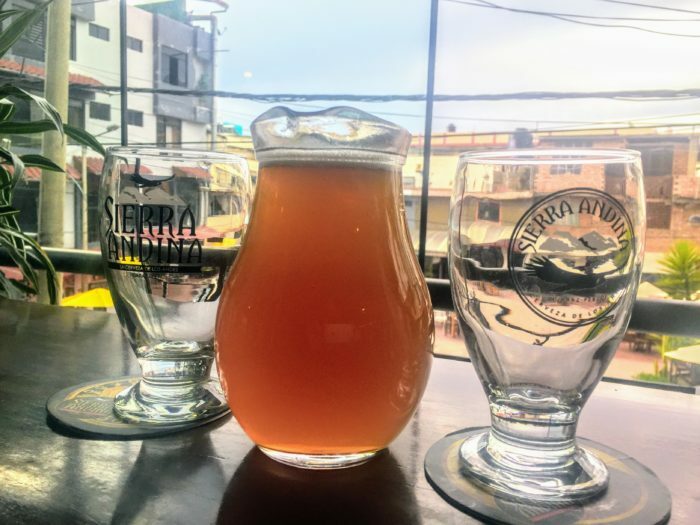 For a few drinks and socializing, head to Trivio to get Sierra Andina beer on tap and find a pretty lively atmosphere most nights of the week. There are a few clubs in the city, like El Tambo, and while that’s not really my scene and I gave it a miss, my educated guess is that it’s not going to be a wild night like you’ll find in Lima or elsewhere in Peru. While planning your trip to Huaraz, Peru, keep these four tips in mind! 1. Huascaran National Park has an entrance fee. You can pay 30 soles / 9 usd for a day ticket (without an overnight), buy a three-day pass for 60 soles / 18 usd, or buy a 30-day pass for 150 soles / 45 usd. You can exit and enter the park as many times as you want with the 30-day pass so if you’re planning to do Laguna 69 and the Santa Cruz trek, this is the best option. 2. The best time to visit Huaraz, Peru is April through September. October is the start of the rainy season and it can be tough to get out into the mountains in bad weather – and you’ll miss the beautiful views. Huaraz’s elevation is no joke at 10,000 feet. Plan at least one acclimatization day before you head out on anything major. I recommend hiking to Wilcacoha Lake on your first or second day in the city to prepare for Laguna 69 or the Santa Cruz trek. The town of Huaraz is safe, but hikers, climbers, and guides have been killed or gone missing in the nearby mountains. Take them seriously and make sure you always go prepared, whether you’re with a guided group or not. 5. How long should I stay in Huaraz? For a long-term stay, I can’t really recommend Huaraz for two reasons: the lack of a supermarket and the terrible internet. Ours went out regularly, and my international data plan didn’t work at all in the city. I recommend getting in, doing your hikes, and getting out. 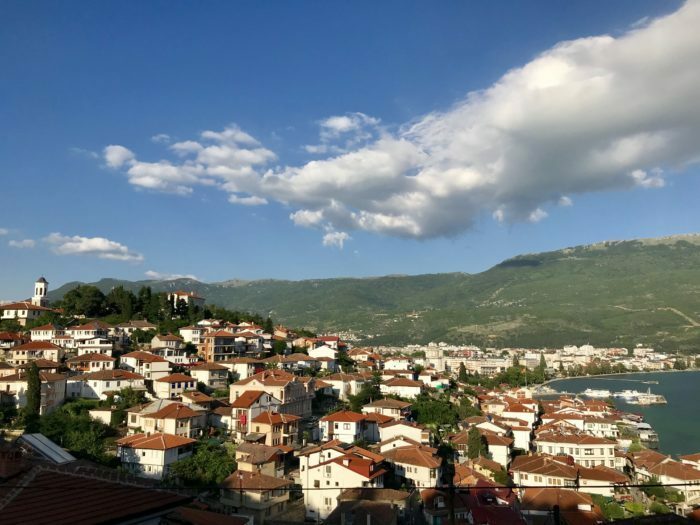 Stay at least one night in town to acclimatize before you hike, and then maybe plan one more at the end to relax before you go. Are you ready to plan your trip tp Huaraz? 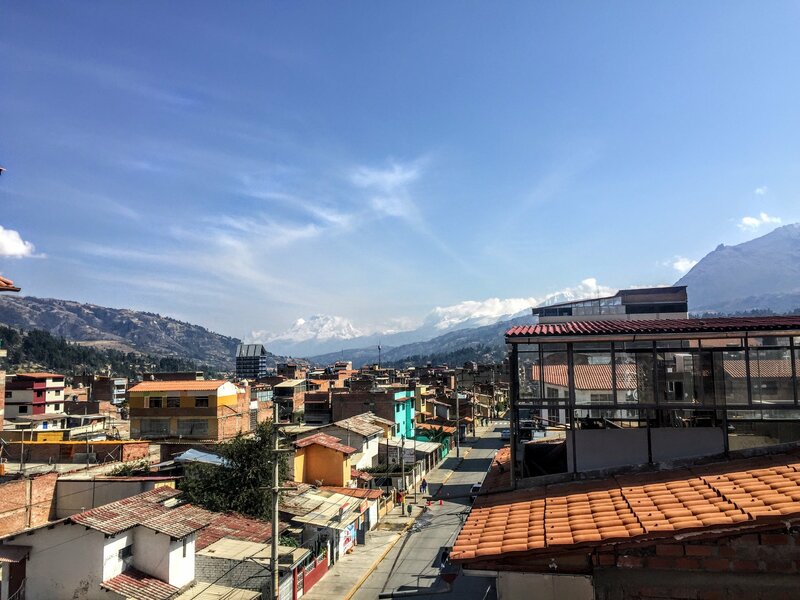 I hope this guide to Huaraz, Peru helps you get a little more insight into the city and what you can expect to do, see, eat, drink, and discover while you’re here! Hiking into the Cordillera Blanca Mountains in Huascaran National Park is a truly memorable experience and I strongly recommend adding a stop in Huaraz to your Peru itinerary. Ready to plan your trip? Check out the Peru Series to find hiking guides, food recommendations, travel tips, and pretty much just everything you need to know about Huaraz, Cusco, Lima, and Arequipa! NextAustralia vs. New Zealand: Which Should You Visit?